CoolPac has small and large environmental chambers suitable for temperature testing. 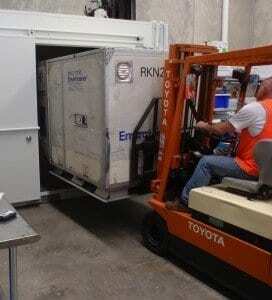 These chambers can simulate environmental conditions from -20 to +60 deg C.
Our team of Cold Chain Consultants can validate your temperature controlled packaging as well as develop cold chain solutions to ensure your temperature controlled products remain within the required temperature when out of controlled facilities. This is typically during transporting local and international shipments. Our team of consultants are specialised in temperature testing and have many years of experience in designing temperature controlled packaging as well as extensive real world experiences especially in the pharmaceutical industry. 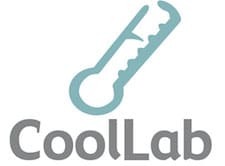 We develop, test and implement “temperature sensitive” packaging solutions for Pharmaceutical companies, CRO’s, Drug Testing Labs, Food Laboratories, Blood Banks etc… We have developed, tested and implemented systems for global market leaders in the pharmaceutical & biotech industries. We ensure all equipment is maintained to the highest standard and is calibrated to recognised international standards,including NATA & NIST. Our Temperature Testing Centre is equipped to develop and test temperature controlled packaging solutions “Small & Large” to suit your budget and your products temperature requirements. Contact us on 1300 266 555 to talk about your requirements.